We manufacture a premium quality range of Plastic Tub making Injection Molding Machine. 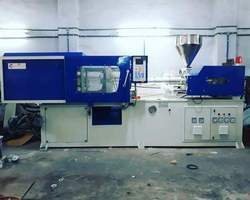 Our offered machines are highly appreciated by customers due to its mold high performance and are also available to customers in various specifications. We are manufacturer of Plastic Tub making Injection Molding Machine in Ahmedabad, Gujarat, India. We are having large range in horizontal injection moulding machine. We are leading manufacturer of plastic tub making machine in Ahmadabad, Gujarat, India. We have large range fo this kind of injection moulding machine which is from 30 Ton to 320 Ton. Looking for Plastic Tub making Injection Molding Machine ?